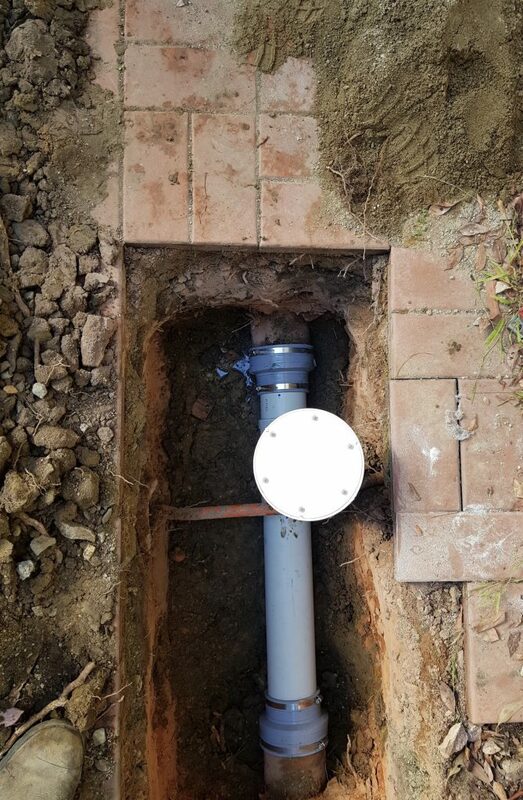 Problem: The customer had roots growing into her sewer main. After locating the defective joint, we dug down to the pipe and found this (see above). When the electrical conduit above the pipe was installed, they broke the collar of the pipe below. They then patch repaired the collar by pouring concrete over it. 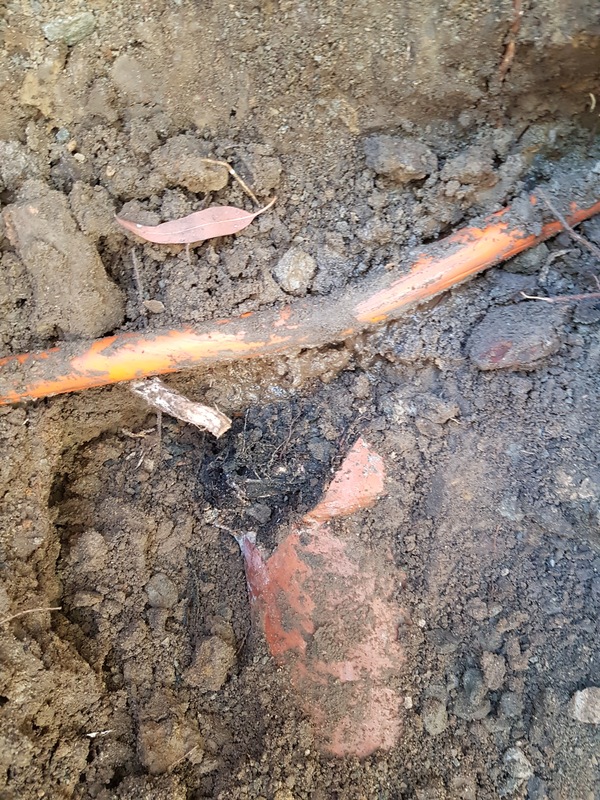 Roots however find these weeknesses in the pipe and grow through tiny holes and then blow the concrete out. Solution: We cut out the defective section of pipe and replaced it with PVC. No more roots.